Docker has revolutionized application virtualization. This open source project enables users to package any application in a lightweight, portable container so that installing a server-side Linux app almost as easy as installing a mobile app—from the command line, no less. Docker has caught on in record time, garnering support from Red Hat, Google, Microsoft, and more shortly after it burst onto the scene. Whether you are a newbie to Docker or looking for ways to further explore this exciting new technology, you'll get the full lowdown on Docker in this InfoWorld Deep Dive. It may still be early days for this nascent technology, but all signs point to a bright future for Docker. 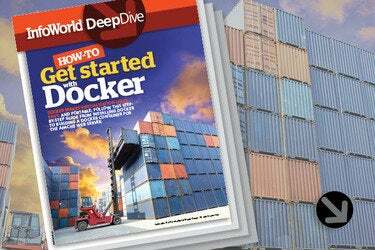 Put yourself in the middle of this breakthrough, with InfoWorld's beginner's guide to Docker.